Kobe Paras and Ricci Rivero will see action for UP in UAAP's Season 82. MANILA, Philippines – Season 81 of the UAAP is over. University of the Philippines finished as first runner-up, but things are just starting to heat up from this point. 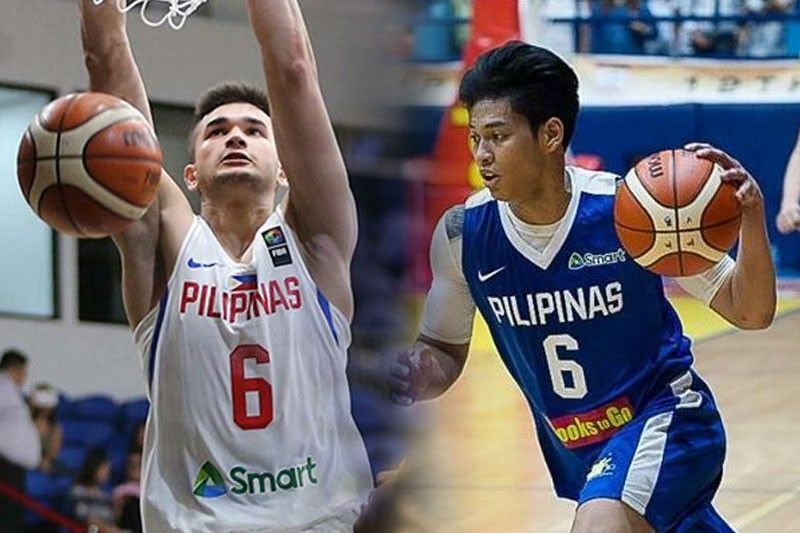 Rising star Kobe Paras, son of former Fighting Maroon and PBA legend Benjie, and former De La Salle University standout Ricci Rivero are two prized recruits that will add firepower to the team. The young cagers will most likely provide a much-needed spark for the Maroons next year, especially with the exit of team captain Paul Desiderio and veterans Diego Dario, JJ Española, Jarrell Lim and Gelo Vito. Paras and Rivero, both products of La Salle Greenhills, face big responsibilities but with their experience at hand, expect little to no problem. Last January 5, former Gilas Pilipinas head coach Chot Reyes released his “23 for 2023” Gilas Cadets pool that will represent the country in the 2023 FIBA World Cup. Paras is on that list. At that time, Rivero, for his part, is fixing internal conflicts with La Salle until he decided to leave the green and white last April 5. He later announced on May 18 that he will be joining the Diliman-based squad, at the same time becoming a part of the Gilas cadets. The 20-year-old guard produced high numbers in Season 80 with 12.9 points, 5.9 rebounds and 1.6 assists per game for La Salle. Rivero was just in his sophomore year, and it was arguably his coming-out party in collegiate level. Last October, Rivero returned to the 3x3 scene at the FIBA 3x3 Under-23 World Cup in China. He also joined the 3x3 Under-18 World Cup back in 2015. The 21-year-old swingman also represented the country in several FIBA tournaments like the 2013 and 2015 FIBA 3x3 U1-8 World Championship, where he was hailed back-to-back slam dunk king. In 2017, he also played for the FIBA 3x3 World Cup. Paras and Rivero wanted to capitalize on the experience they gained and decided to bleed maroon in the end. The one-year residency just passed by for what could be UP’s new dynamic duo, who is set to join mainstay scorers Jun Manzo, Juan and Javi Gomez De Liaño and Season 81 Most Valuable Player Bright Akhuetie.